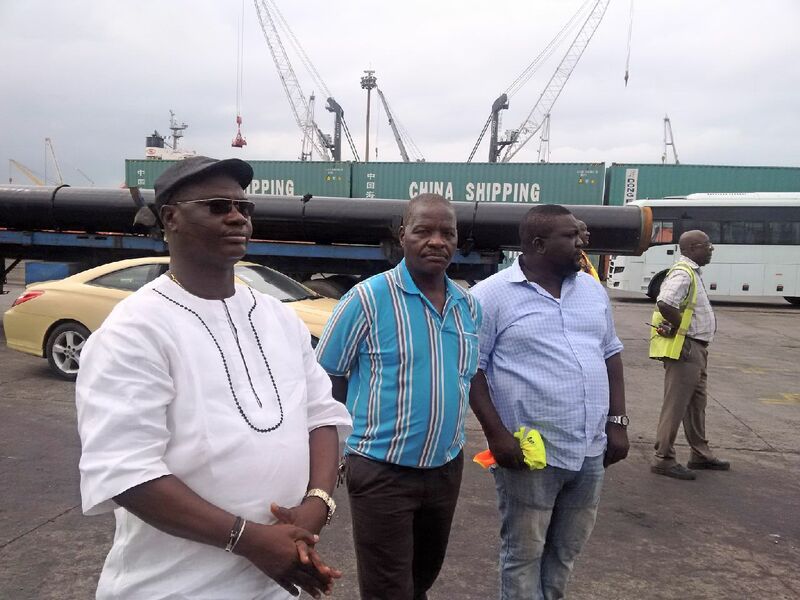 The death of a dockworker, Mr Pius Ifah, on Wednesday at the Five Star Logistics Terminal, Tin-Can Island Port, Lagos, makes it a second incident recorded at the terminal in exactly 11 days. The incident which occurred when stacked heavy-duty pipes rolled off and killed Ifah instantly, made dockworkers at the terminal to suspended work in solidarity with the family of the late Ifah. . The late Samson Oheha, a dockworker, died in another accident earlier on Sept. 19, in the same terminal. 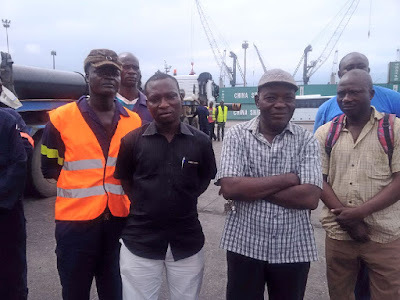 The Maritime Workers’ Union of Nigeria (MWUN) had on Monday given a 21-day ultimatum to terminal operators to comply with safety rules or the union would resort to picketing. Mr Adewale Adeyanju, President of the Dockworkers’ Branch of the MWUN, confirmed the deaths in Lagos. Adeyanju alleged that the management of the terminal failed to put safety measures in place while the operations were on. "The incident which happened at about 1:00 a.m. this morning was an eyesore and a very unprofessional way to operate. 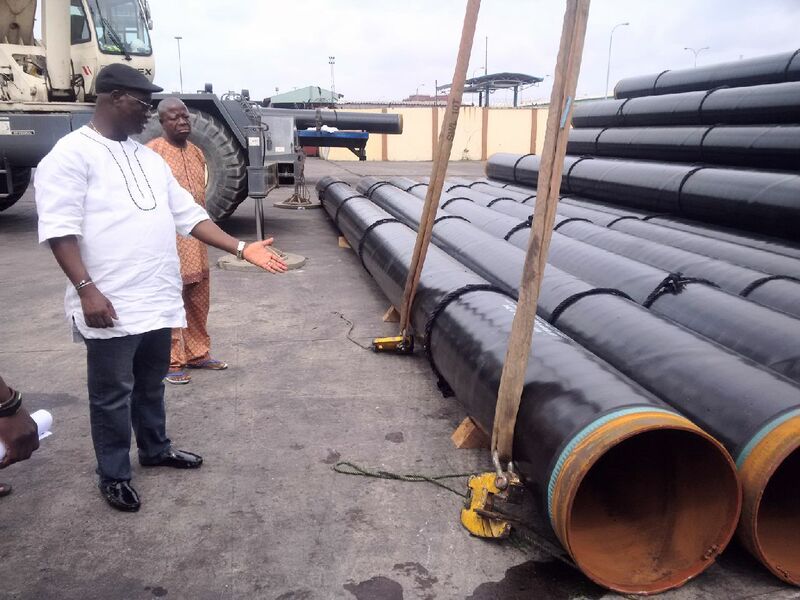 "The management of the terminal failed to comply with safety standards for this kind of operation, which caused the pipes to roll off and kill the man. "It is very sad because it is the same terminal where a dockworker died on Sept. 19-- and is yet to be buried,’’ he said. Adeyanju said though the police report showed it was an accident, the situation would not have resulted to death if there were standard safety measures in place by the terminal operator. He said the union had written many letters to all terminal operators and stevedoring companies on the need for safety. According to him, only a few of the operators complied with safety requirements for dockworkers to carry out their duties safely. When a NAN correspondent visited the scene of the incident, a co-worker of the deceased, on condition of anonymity, said the stacked pipes gave way and fell on the late Ifah. "The wooden wedges used to hold the heavy pipes could not stop them as they slide down. "Ifah could not escape immediately because he was controlling the rope,’’ he said. He also said that before the operations commenced, some of the workers had complained to a representative of the management that it was not appropriate to use a wooden wedge for such heavy-duty pipes, but that he allegedly refused, saying that was what they could afford. The General Manager of the terminal, Capt. John John, said he was not in a position to speak with the press on the incident.